We've got more Modern Marks fun for you! Designer Stephanie Sheridan used a lime and blue color palette of Modern Marks prints to create the ultra cool Mid Mod Criss Cross quilt featured in Mc Call's Quick Quilts magazine. Read more about the quilt below. 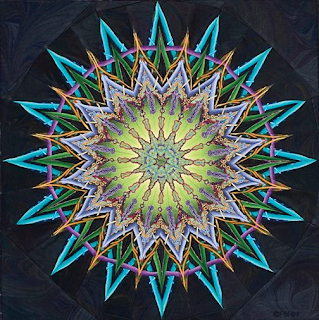 I'm always intrigued by quilts that have a three-dimensional quality and that look way harder than they actually are to make. I started playing with a woven three-dimensional look, and that’s where this quilt came from. Christa Watson's Modern Marks collection is so fun! How did you narrow down your palette? I started with the two lime greens because I really liked that pop of color. 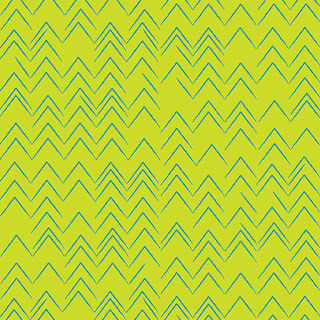 I chose the aqua, medium blue and dark blue to be the light, medium and dark values because they were all in the focal lime print. Why did you use both the focal lime print and the tonal lime print? 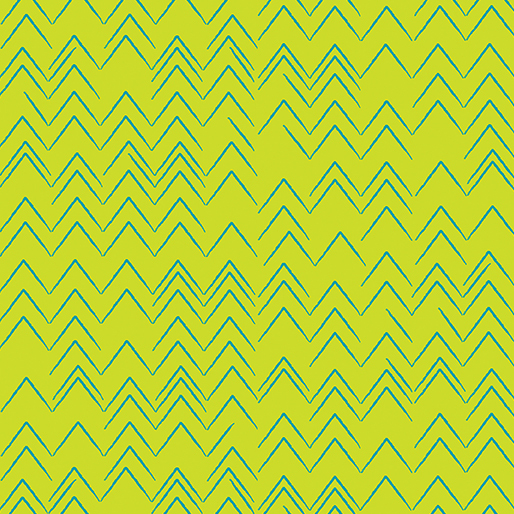 This pattern is great for showing off a larger focal print. I think confining the focal print to the middle adds to the dimensional quality because it draws your focus into the center of the quilt. What was challenging about this design? Creating the right sized blocks to make the woven parts of the quilt extend beyond the inner blue frame. It was important to make everything line up correctly. It looks almost like that frame was appliqued on top, but it’s pieced into the quilt. Tell us about the quilting. 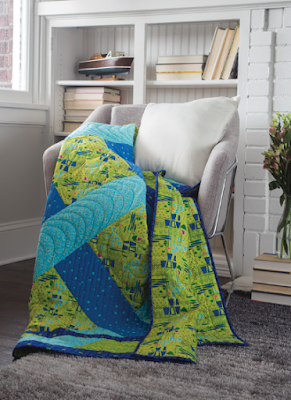 Curved quilting shapes soften the angles of the design and also mimic the shapes in the fabric. 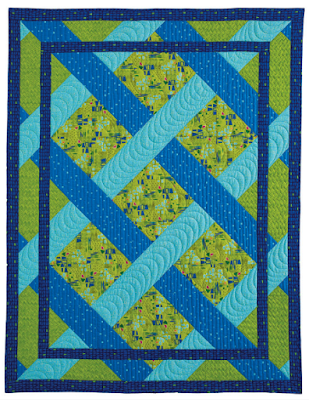 Each woven color has a different quilting design to help enhance the woven look. It’s made from very simple blocks—half-square triangles, and what I call quarter-square triangles—the three-piece blocks. By just twisting and turning them and careful fabric placement, you end up with a very complex looking design made from easy-to-piece blocks. 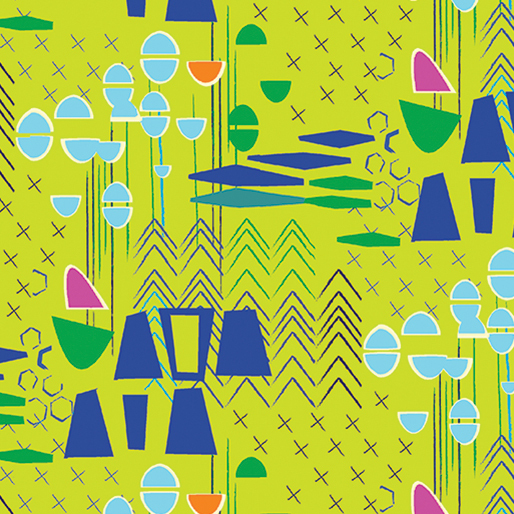 Click here to purchase the Mid Mod Criss Cross pattern. 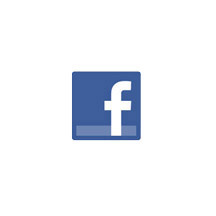 Click here to learn more about Stitched Together Studios. 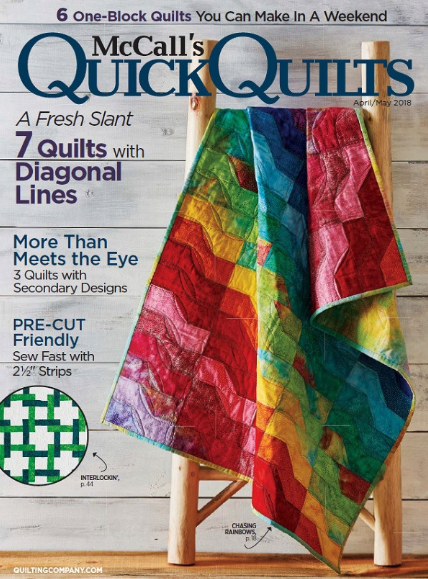 Click here to find McCall's Quick Quilts April/May 2018 issue. 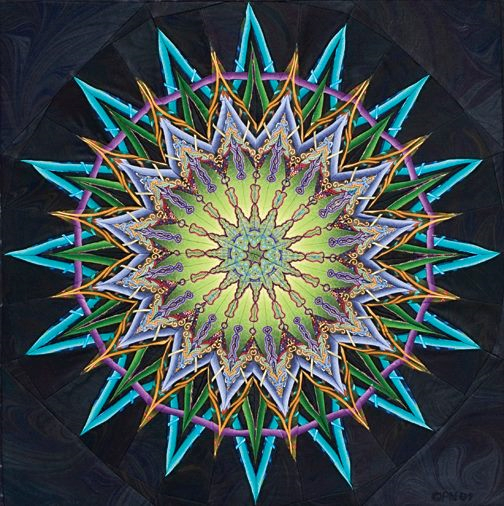 June 18-22: Join Paula Nadelstern for a 5-day KALEIDOSCOPE QUILT workshop at the gorgeous Madeline Island School of the Arts. In a longer format, Paula doesn't need to oversimplify. Time is provided for both process and product and for setbacks -- which often turn out to be the take-aways, the lessons that occur when a misstep needs to be fixed. Skills get cemented and integrated, making the processes richer and layered. Very cool quilt! Have a fun day! !